Check out a brief weekly digest where you can find out about key cryptocurrency market changes, top 3 coins stats, last week’s top gainers and losers and most notable news. 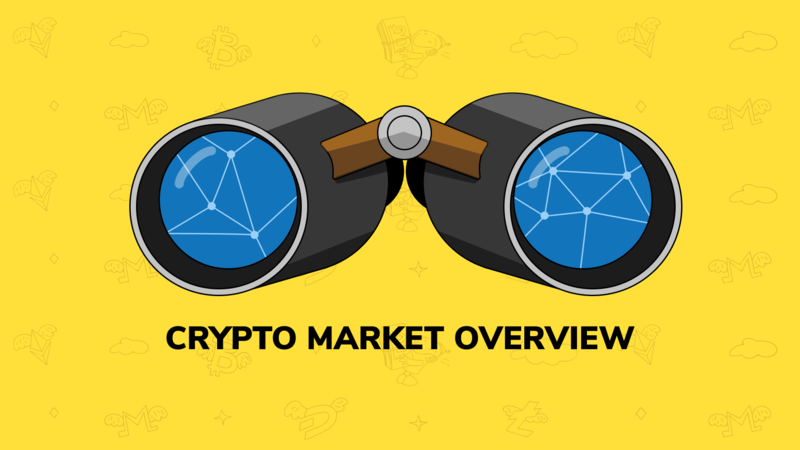 Last week was marked mainly by a cryptocurrency market’s bounce and the continuation of QuadrigaCX’s curious story. Hope you find it helpful and happy trading! The number of markets grows as well as the market cap, thankfully to the bounce. Meanwhile, the amount of listed coins decreases further, compared to last week. Because of the market’s bounce, all of the top 3 coins ended up bullish. Ethereum’s (ETH) value increased the most with more than 16% added to its price. INO COIN is leading the gainers lineup with more than 350% increase of its price. Last week’s top gainer Bitcoiin has lost almost 60% of its value and now is on the top of the losers list. “For any internet (non-physical) based business, I don’t understand why anyone would not accept crypto for payments. It is easier, faster and cheaper to integration than traditional payment gateways. Less paperwork. And reaches more diverse demographic and geography,” – Changpeng Zhao, CEO of Binance on Twitter. The saga with Canadian cryptocurrency exchange QuadrigaCX continues. After the supposed death of its chief Gerald Cotten, the company reportedly lost access to 26,500 BTC, 11,000 Bitcoin Cash, 11,000 Bitcoin SV, 35,000 Bitcoin Gold, 200,000 Litecoin, and 430,000 Ethereum (roughly $150 million in total). But CryptoMedication, a crypto researcher and data analyzer, reveals that Quadriga might never owned $100 million in Bitcoin. Ripple has partnered with 10 top universities under the University Blockchain Research Initiative (UBRI): Carnegie Mellon, Cornell, Duke, Georgetown, Morgan State, Kansas, Michigan and Northeastern universities, the National University of Singapore and the University of Sao Paulo. These universities will be supported by Ripple’s resources to conduct researches, host conferences and help students desiring to work in blockchain and crypto-related subjects. Chainspace, a small blockchain startup founded by researchers from University College London, has become Facebook’s first blockchain-related acquisition. The startup was working on blockchain scalability problems, however the social network isn’t acquiring any of Chainspace’s technology, as reported. Four of the five researchers that worked on Chainspace’s academic whitepaper will be joining Facebook.